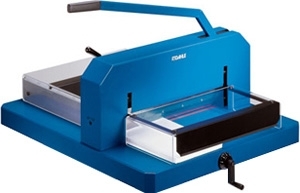 Dahle ream cutters are ideal for accurately cutting large stacks of paper at one time. They are the preferred choice of copy centers and printing agencies. These machines are incredibly easy to cut paper on.